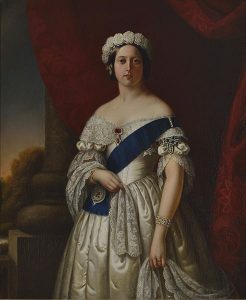 Georgian era make up: The Georgian era has a few years known as the Regency period. This distinction stands important with reference to make up of the women for a change in trends can be observed. Porcelain white skin no matter how pale was desirable. Mixtures of lead, vinegar, horse manure were used to prepare necessary powders. It acted like foundation in most cases but was extremely hazardous to the skin. Eventually, zinc oxide and talc were used which were less opaque and relatively less harmful too. It was less dark and polished yet substantially more advantageous Further, in the Regency period, a more natural look was praised. Use of talc powder was more evident. Yet, it was predominantly by older women to hide vagaries of age. 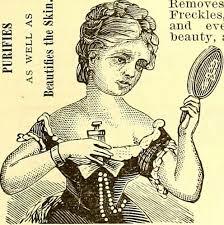 Beauty patches were little clippings of dark velvet, silk or glossy silk that were appended to the face to cover imperfections, including smallpox scars and harm created by white lead, or similarly as a touch of design. The position of these skin fixes, in the long run, came to be related to coded implications. a fix toward the edge of the eye may be a solicitation to a future lover. Once new and beautiful – goes up against more fixes until the point that she takes after the run-down house of ill-repute madame who started her into London massage parlor life. 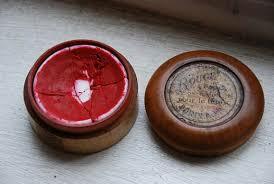 The use of carmine, a bright red pigment obtained from aluminum salt of carminic acid was used. Rose Lip Salve was a product which gave more of a transparent rosy glow to the lips. Vermilion was used in the preparation of rogue. Blushes were also available in liquid, creme and powder forms. 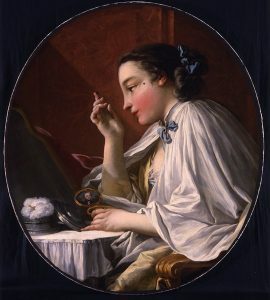 The Georgian era make up was rich in color and, for a characteristic outcome, a light hand required for the application Commercial tooth powders were used by the elite to prevent decay and tooth infection. Extraction is the only solution for all dental problems, use of fake jaw was rampant. Contact with oriental countries let to exchange cosmetics too. Art of kohl making was imbibed and similar means used to color. Black soot from an oil lamp was used with aromatic camphor and oil and applied using a stick. However, application to eyes was tedious and perfection with regards to it could be challenging. Eyebrows and eyelashes were colored to enhance their look. 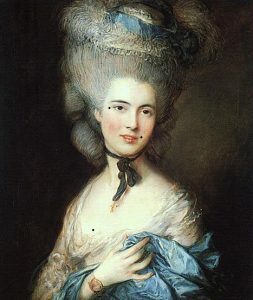 Hairstyles too were elaborate which became a symbol of prestige and social standing. It has been dealt with in detail in another article. Skintight breeches intended to flaunt the all-around shaped legs of their wearer turned into all the rage.pads of texture or horsehair could be embedded into breaches that would give the impression of ripped calves. These cushions could likewise be embedded anyplace else. They were perhaps used by women too. Such makeup could be very deceptive. The following decree was hence passed. 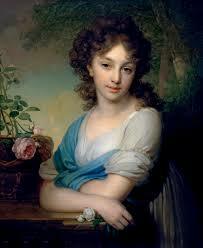 This could one of the reasons why the shift is seen as more natural looks in the Regency period. In 1811 a lady’s wonder book saw the main light of day. 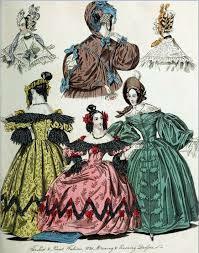 ‘The Reflection of the Graces or The English Woman’s Ensemble’ distributed namelessly by A Woman Of Refinement. It spoke not only about the kind of cosmetics to be used but also as to how and purpose of usage. Gaudy makeup or Georgian era make up frowned upon leading way to the fresh skin, simple hair and native looks.